A Constant Rate Infusion (CRI) is utilized to administer a continuous dose of drug in intravenous fluids. 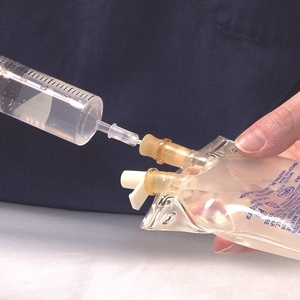 Review specific calculations and examples from Megan Brashear, CVT, VTS (ECC) for administering multiple drugs in intravenous fluids. A Constant Rate Infusion (CRI) is utilized to administer a continuous dose of drug in intravenous fluids. We are most used to CRIs for pain management, as in this form the drug can be maintained at effective plasma concentrations for the duration of treatment and avoid pain peaks and valleys. CRIs are also utilized for blood pressure management medications, electrolyte supplementation, GI motility medications, anesthesia, and insulin administration. Drugs can be administered without dilution, calculated to be mixed in to IV fluids running at a pre-determined rate, or prepared to be titrated to different rates depending on patient needs. For example, a 17 kg dog has fluids running at 65 ml/hr. You are asked to make a metoclopramide (5 mg/ml) CRI at a dose of 1 mg/kg/day. How many ml of metoclopramide do you add to a liter of fluids that will run at 65 ml/hr? This calculation should be taken one step further to determine how many milligrams of metoclopramide are in each milliliter of fluid so if the fluid rate changes the dose is known. 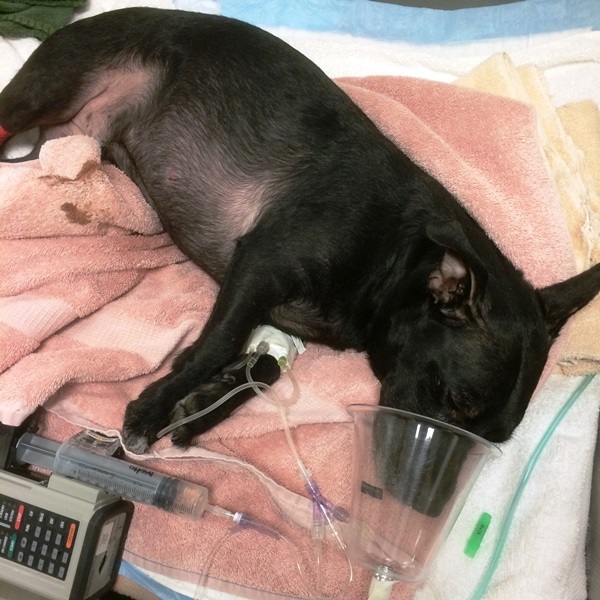 If the dog’s fluid rate is changed to 75 ml/hr, how much metoclopramide is the dog receiving? This new dose of 1.14 mg metoclopramide/kg/day can be compared to the therapeutic dose for metoclopramide and steps taken as needed to ensure patient safety. A 21 kg dog has been hit by a car and needs pain management administered as a CRI. You are asked to calculate a fentanyl (50 mcg/ml) CRI and place the patient at 3 mcg/kg/hr of fentanyl with the ability to titrate the dose as needed. You plan on making this CRI in a 60 ml syringe of NaCl and delivering it on a syringe pump. Some drugs are dosed as mcg/kg/min. Dobutamine is one such drug. The dose needed is titrated up depending on patient response and weaned down as improvement is seen. Having this CRI calculated so that 1 ml/hr = 1 mcg/kg/min will make frequent dose changes a simple process and prevent complicated math each time the dose is changed. A 4.5 kg cat has been battling hypotension and you are asked to calculate a dobutamine (12.5 mg/ml) CRI and then start administering 2 mcg dobutamine/kg/min to the cat. For ease of titrating, you will make the CRI so that 1 ml/hr = 1 mcg/kg/min. You will be making the CRI in a 100 ml bag of NaCl. With small patients or those that cannot tolerate high rates of intravenous fluids, it may not be appropriate to run a CRI at 10 or 15 ml/hr. In those patients it may be better to calculate their CRI so that 1 ml/hr = 10 mcg/kg/min, or 1 ml/hr = 5 mcg/kg/hr. The remainder of the math remains the same. Calculating CRIs can seem intimidating, and these preparations need special care and attention paid, but the benefit to the patient makes it worth the work. It is important when administering a CRI to ensure that all medications going through the fluid line (including any that are injected separately, like bolus pain management or antibiotics) are compatible. Drugs like metoclopramide, lidocaine, and morphine will need to be protected from light if they are to be hung for more than 24 hours. 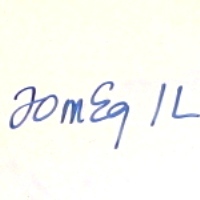 Constant Rate Infusions must be labeled with the drug name, the drug dose per milliliter, the time and date the CRI was mixed, and the initials of the person who created the CRI. The fluid bag must be labeled as well as noting the dose and calculation in the medical record. It is vital that CRIs are calculated correctly, as incorrect doses administered over multiple hours can be detrimental and even deadly to patients. Once a CRI is utilized, the fluid rate should be checked at least every four hours and matched to the dose ordered by the medical record. When in doubt, double check your calculations and always clearly label all CRIs. Practice makes perfect; use the following CRI orders to practice your new found skills in CRI calculations. You are asked to make a 1 mg/kg/day metoclopramide (5 mg/ml) CRI for a patient that weighs 12 kg. The fluids are running at 45 ml/hr. 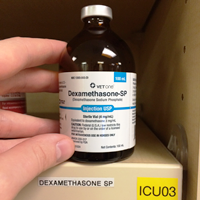 How many milliliters of metoclopramide will you add to a full liter of fluids for this patient? You are asked to make a 1.5 mg/kg/day metoclopramide (5 mg/ml) CRI for a patient that weighs 5.5 kg. Their fluid rate is 15 ml/hr. How many milliliters of metoclopramide will you add to a full liter of fluids for this patient? If their fluid rate is increased to 20 ml/hr how many mg/kg/day of metoclopramide will they be receiving? You are asked to make a dopamine (40 mg/ml) CRI for a 24 kg dog. For ease of dosing, you need to make the CRI so that 1 ml/hr = 1 mcg/kg/min. You will be making the CRI in 250 ml NaCl. How many milligrams of dopamine will you qs to 250 ml NaCl? You are asked to make a fentanyl (50 mcg/ml) CRI for a 7 kg cat. For ease of dosing, you need to make the CRI so that 1 ml/hr = 1 mcg/kg/hr. You will be making the CRI in 100 ml NaCl. How many micrograms of fentanyl will you qs to 100 ml NaCl?